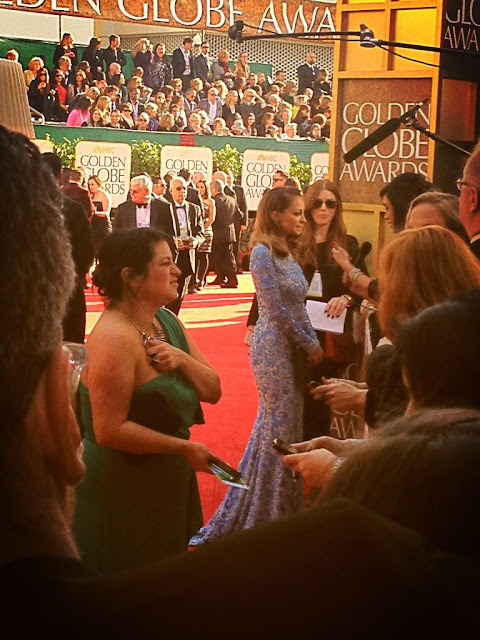 Nicole Richie was in attendance at the 2013 Golden Globes awards. Nicole shared a picture of herself pre Globes in her dressing room. First picture of Nicole wearing Naeem Khan on the red carpet, she looks amazing! A close up look of Nicole Richie's make-up, she has opted for an icy blue shade to compliment her gown. What do you think of Nicole Richie's 2013 Golden Globes look?